Maverik—Adventure’s First Stop—hosts a grand opening celebration and open house at its newest store in downtown Salt Lake City, which is housed on the ground level inside Maverik’s new Base Camp office building. Open house is Wednesday, June 15 from 11 a.m.–2 p.m.
To celebrate and spread the news, the company welcomes the community to tour the facility, try FREE samples, special discounts, chances to win prizes, and more. Additionally, at the event, Maverik’s Cinnabon® bakery and Bodacious Bean barista bar will be open to the public. 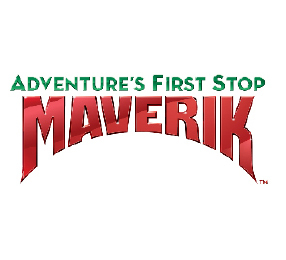 Maverik is also offering 25-cent refills on all fountain drinks and self-serve Bodacious Bean coffee, cappuccinos, and hot chocolate for a limited time at the downtown location only.